The unique Girl Scout environment provides fun, exciting, and essential experiences that carry into girls’ future careers and life success; the KPMG Women’s Leadership Study of more than 3,000 professional and college women shows that early exposure to leadership has a significant impact on a woman’s perceptions of her ability to lead. Additionally, 76 percent of women today wish they had learned more about leadership and had more leadership opportunities while growing up, demonstrating how imperative it is for girls and volunteers to join Girl Scouts. In a safe all-girl space, Girl Scouts develop important soft skills, including confidence and perseverance, as well as hard skills, setting them up for success and preparing them to take action for a better world. Today’s youth are more vocal than ever about the change they want to see, and Girl Scouts are the most equipped with the skills needed to make a real impact. The results are proven: girls who participate in Girl Scouts are more than twice as likely to exhibit community problem-solving skills than girls who don’t (57 percent versus 28 percent). 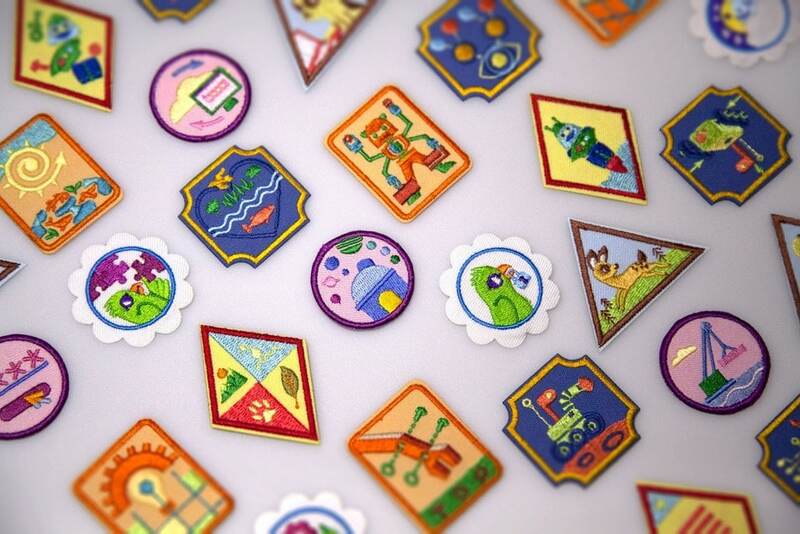 Girl Scouts of the USA reveals 30 new badges now available exclusively for girls ages 5–18 that not only enhance the one-of-a-kind Girl Scout experience, but also address some of society’s most pressing needs, such as cyber-security, environmental advocacy, mechanical engineering, robotics, computer science, and space exploration. Environmental Stewardship badges, GSUSA’s first-ever badge series focused on environmental advocacy. Girls in grades 6–12 prepare for outdoor experiences and take action on environmental issues. Although Girl Scouts have been advocating for the environment since the organization’s founding 106 years ago, these badges are the first to specifically prepare girls to be environmental advocates who address problems, find solutions, and protect the natural world (funded by the Elliott Wildlife Values Project). Badges that teach girls how to program, design, and showcase robots, completing the suite of Robotics badges GSUSA first introduced for grades K–5 last year. The College Knowledge badge for Girl Scouts in grades 11 and 12, the first badge completely dedicated to college exploration. By showing girls how to research the admissions process, financial aid, and other factors, the badge fills a specific need that girls asked for—and that many do not have support for outside Girl Scouts. Two Girl Scout Leadership Journeys: Think Like a Programmer (funded by Raytheon) provides a strong foundation in computational thinking and the framework for Girl Scouts’ first ever national Cyber Challenge, coming in 2019. The Think Like an Engineer Journey exposes girls to design thinking to understand how engineers solve problems. As with all Leadership Journeys, girls complete hands-on activities and use their newly honed skills to take action on a problem in their community. The programming aims to prepare girls to pursue careers in fields such as cybersecurity, computer science, and robotics. Environmental Stewardship, through which girls learn how to respect the outdoors and take action to protect the natural world (funded by the Elliott Wildlife Values Project). 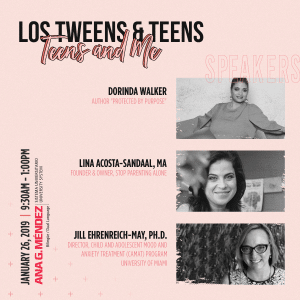 Cybersecurity, introducing girls to age-appropriate online safety and privacy principles, information on how the internet works, and how to spot and investigate cybercrime (funded by Palo Alto Networks). Space Science, enabling girls to channel their inner NASA scientist as they learn about objects in space and how astronomers conduct investigations (funded by NASA’s Science Mission Directorate and led by the SETI Institute). Mechanical Engineering for Girl Scout Juniors, through which girls in grades 4 and 5 design paddle boats, cranes, and balloon-powered cars, learning about buoyancy, potential and kinetic energy, machines, and jet propulsion. Following last year’s introduction of Mechanical Engineering badges for girls in grades K–3, the addition of these badges for Girl Scout Juniors means that all Girl Scouts in elementary school can now have hands-on engineering experiences. Prepare your girl to unleash her inner strength. To join or volunteer, visit www.girlscouts.org/join. This entry was posted in Parenting Teens, Raising Tweens and tagged Girl Scouts, girls, leadership. Bookmark the permalink.